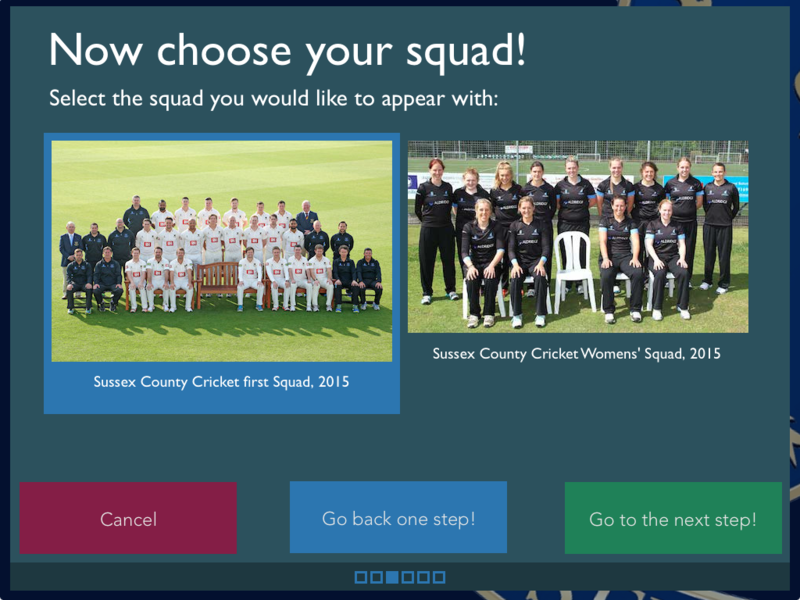 Join our Squad was a self-contained iPad app which rain the Sussex County Cricket Museum. 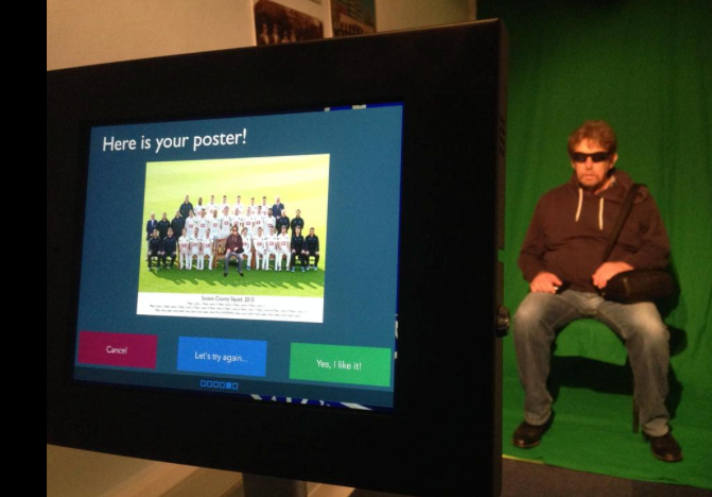 Visitors could choose a squad photo, sit in front of a green screen and be automatically composited into it. I worked with the club museum to create special versions of the squad photos then prototyped, testing and built the final app. 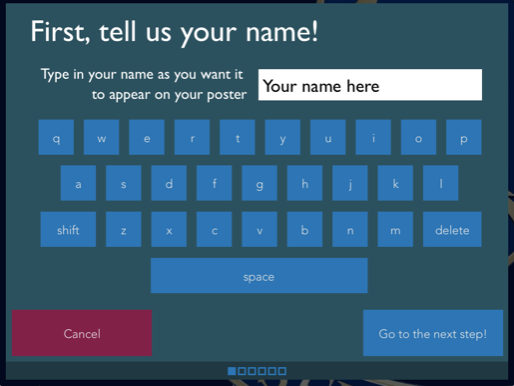 The visitor’s photo was emailed to them with an option to buy a high quality print out. One one morning a school visit nearly swamped the museum and one poor teacher had to fit three or four children in the greenscreen at a time in other to take enough photos in their one hour time slot…. The app needed little maintenance and was completely self-running (unlike similar systems in other museums which needed permanent staff to administer them.